Last year's generous donations helped fund the purchase of a ski doo alpine and trailer, the bad news is that the alpine just doesn't play well on the tight HHE trails. so I am going for a Snowdog, a "tracksled" that ought to allow us to reach any of the singletrack we want. We also have the green light from Chaut. County Parks, to try grooming part of the lower East Overland Trail. 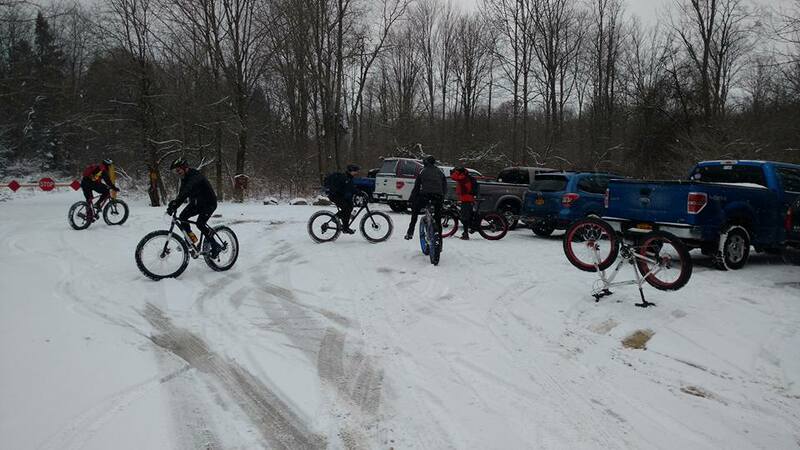 Harris Hill Ext is located smackdab in the middle of the "lake effect snow dump area" of Western NY... meaning we are poised to create a fantastic fat bike playground. With 13 miles of singletrack along with 4 miles of the East Overland trail, we have plans to initially groom over 6 miles for Wintertime fun. 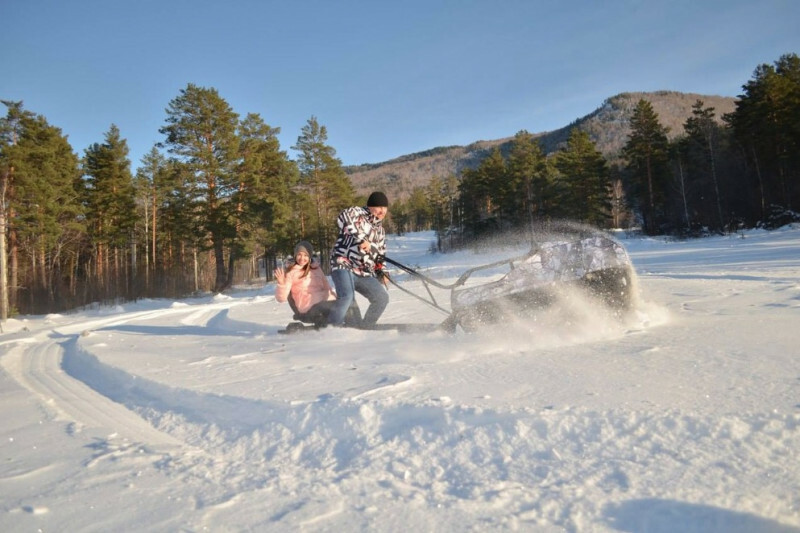 For the last 3 years we have had sporadically successful results using snowshoes, Marquette skis, tires, pool filters and homemade drags via human power, an old snowmobile and even a Rokon Trailbreaker. We now have the possibility of harnassing the ultimate weapon for laying down a sweet and tightly packed rideable ribbon. A 1981 Ski Doo Alpine , with it's twin track, monoski and geared for towing, this machine will steamroll it's way around the forest. Any monies will go to support the Alpine, securing a trailer, groomer/drag, trail tools and making sinage for the groomed trails. HHE has been totally a volunteer effort with most of the costs coming out of my piggy bank when the wife wasn't looking. If you donate, you will not only help HHE provide hours of fat bike fun, but you may also be saving my hide. Never fat biked?... no worries... I'll let you borrow one of mine... but the Surgeon General requires me to alert you to the fact that even a brief exposure to riding a Fat bike, will likely cause a significant loss of the Winter doldrums. the above link is a bit of magical crust at HHE.. these conditions occur just a few days in each of the last 3 years... major fun.. but of course with the wonderfully generous response of the donors. We should be able to insure that fat bikers will have over 6 miles of groomed trail. Hoping that the predicted lake effect happens, and we have the chance to see the ski doo apline in action over the coming week. 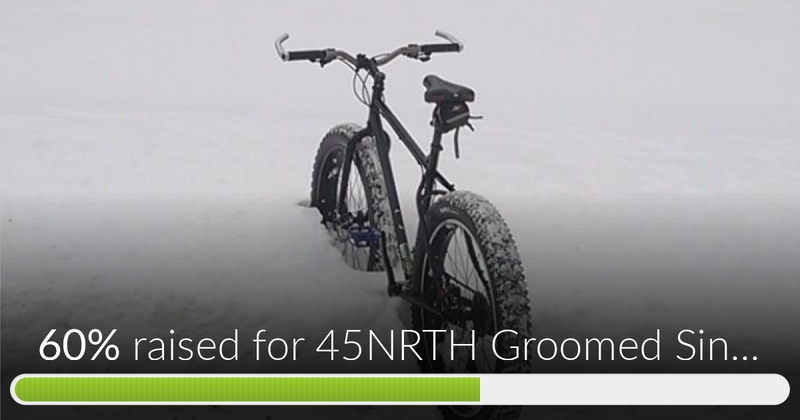 45NRTH Groomed Singletrack: Harris has reached 60% of it's goal. Thanks to 45NRTH, and all you folks who have been so generous in your support. It looks like next Monday there might be a swing towards a real Winter... If so, we will be ready to take advantage of it. Thanks for all your hard work Thom. These trails are the best reason to live in Chautauqua County.